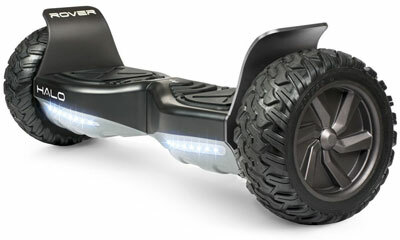 Razor, EPIKGO, SWAGTRON and Halo Rover hoverboards are among the most popular self-balancing scooters in the market. But what exactly are the features of each one and how they compare to each other? Here we try to answer this question. First, please take a look at our selection of a top model of each of these brands. Later we compare these hoverboards with each other. SWAGTRON T6 is for everyone looking for a powerful self balancing scooter which could travel through all terrains, achieve higher speed compared to other models and support more weight. 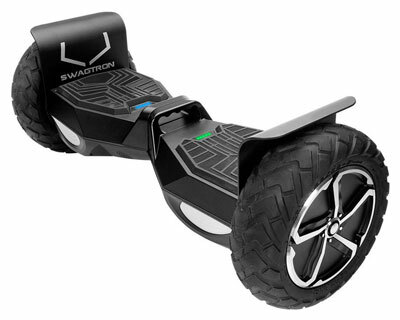 So, it is recommended that more professional users get this hoverboard by SWAGTRON. Bluetooth – the hoverboard could connect to a cell phone or tablet with Bluetooth in order to play from the device directly. Rugged tires (10”) – One of the things which makes the product able to explore all terrains is its 10” tubeless tires. All terrain – travelling through gravel, rain, grass, and even mud is possible. Also up to 30° inclines and bumps could be rolled over by the scooter. 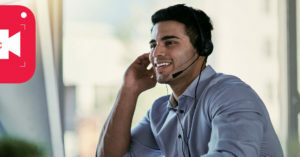 By using Razor Hovertrax 2.0, riders could receive the style, service, safety and quality expected from Razor, one of the largest electric recreational products manufacturers in the world. This hoverboard is suitable for users who are at least 8 years old. For a smooth ride and an easier mount, Hovertrax 2.0 could be leveled automatically using Razor’s EverBalance technology. Users could be sure about extending their rides since there is a battery pack (36V lithium ion) for quick and easy change. 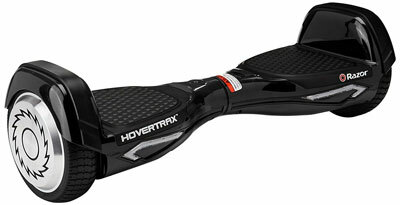 Hovertrax 2.0 has lots of positive reviews and satisfactory feedbacks on retailer websites such as Amazon. 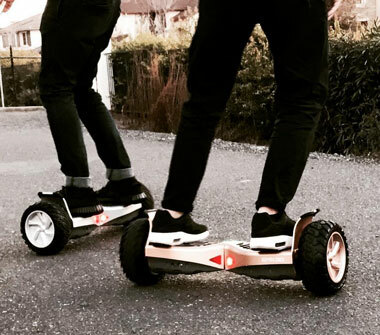 Produced by a Silicon Valley company in the USA, EPIKGO is the number one hoverboard choice for anybody wanting the utmost quality and power combined in a professional looking product. Although it costs higher than other competitor scooters reviewed here the design and technology included in this product certainly worth the price. 30% larger and 200% more powerful compared to top similar products – it means more control, more stable ride and more foot space. 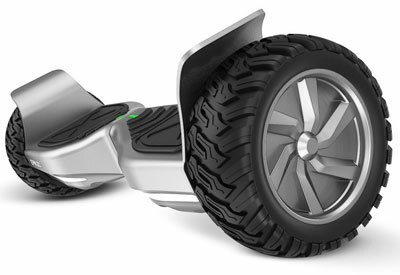 All-terrain tires – enables this EPIKGO scooter to ride through sand, mud and grass because of its rubber tires being water resistant and very solid. Manufactured by a company based in Los Angeles, USA, Halo Rover hoverboard exceeds the standards for capability, quality and safety. Maximum weight capacity: 265 lbs. Being in a price range of about 300$ to $700, it’s not a difficult task to choose a self-balancing hoverboard solely based on how much it costs – the Razor hoverboard is the cheapest in our list. 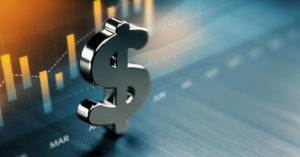 But many people look for far more than just the affordable price. So, for instance, if the main deciding factor is the maximum achievable speed, a right choice would be SWAGTRON T6 (12 mph). In terms of weight limit also, SWAGTRON T6 would be the top choice (420 pounds) along with the Halo Rover (265 pounds) in the next place. Highest motors power is coming with EPIKGO and Razor hoverboards – 400 and 350 watt respectively. Other comparisons could also be done based on other factors through specifications and features mentioned above.